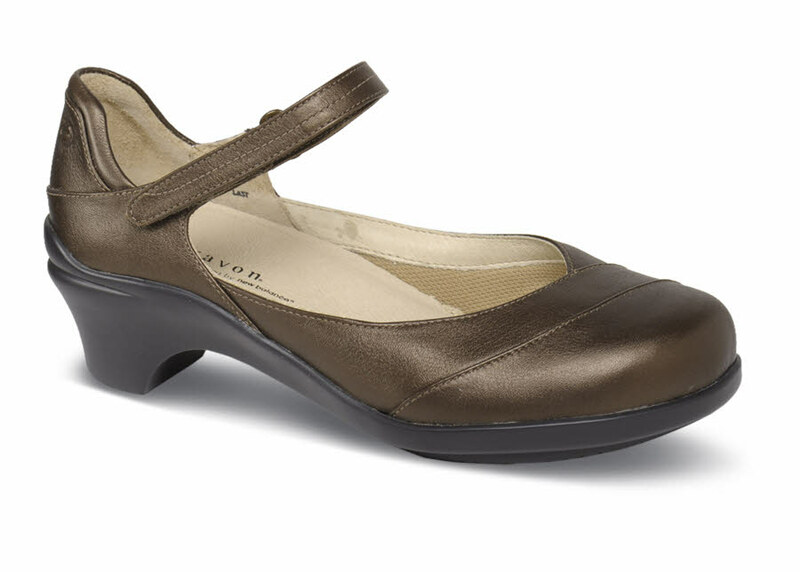 Aravon's great-fitting "Maya" heel in striking bronze-color leather is as comfortable to wear as a flat. It has an adjustable hook-and-loop strap, full leather linings and a removable footbed of molded polyurethane, Abzorb® and Memory Foam. The molded sole unit has a nylon shank and a 17/8 inch heel. Originally $149.95. Limited sizes in women's 2E width.